Pest description and crop damage Most commercial caneberry species, and native Rubus species like thimbleberry, are attacked. 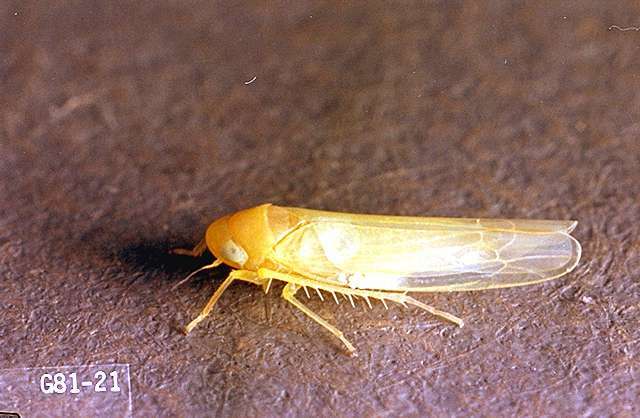 Adult leafhoppers are slender, yellowish-white, and about 3 mm long with folded wings. The nymphs are small, pale white, have long antennae, pink to reddish eyes, and move quickly when disturbed. Superficially, they appear similar to whiteflies. Both nymphs and adults feed on the underside of the leaves, causing whitish spots on the upper leaf surface. Heavy infestations cause the leaves to become mottled and, in hot weather, to wither and curl. Large populations can delay or inhibit fruit ripening, and feeding directly on the fruit results in dead or undeveloped drupelets. Also, the insects may deposit honeydew on the fruit, which lowers quality. Biology and life history This insect overwinters as eggs within caneberry or rose canes. The eggs hatch in spring, and the nymphs are found on lower leaf surfaces in April and May. After 3-4 weeks, they become winged adults. Adults can migrate and lay eggs from June through September. Second generation nymphs appear in late July, and adults from this generation lay the overwintering eggs on canes. Scouting and thresholds Inspect plants in spring for nymphs or evidence of feeding damage on leaves. Parasitic wasps may attack eggs during the summer and fall and help control populations. Leafhopper damage does not often reach a threshold that necessitates a pesticide application. 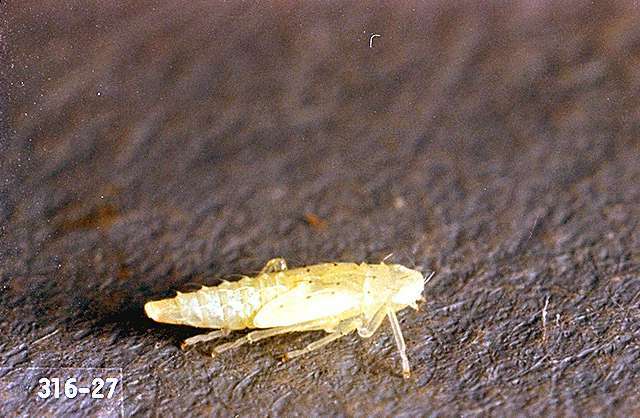 If large populations are present, pesticides used for aphid control will also control leafhoppers.